There are many decisions you have to make when planning a wedding, but one of the first is choosing the correct venue. That can be a tough decision because, not only are there many options, but venues can be expensive. However, they don’t have to be. 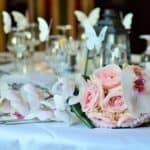 This article will go over some of the more common cheap wedding venues out there to show how you can have a great ceremony and save money at the same time. The reason a good venue is so important is because it helps you plan the rest of your wedding. Once you get it set, you can then pick the time, date, what type of food you’ll serve, and the general style. Cheap wedding venues are important because, as noted by The Knot’s 2016 Real Weddings Study, the average reception venue cost is $16,107. That may seem high (and it is) but luckily there are many ways to lower that cost to a fraction of the price. Easily the most budget-friendly wedding venue on this list is the courthouse. This, along with city hall, has been an affordable ceremony staple for years, and for good reason. Most courthouse ceremonies only cost a small fee (usually less than $100) and some are completely free. You’ll never find a cheaper option than that. While these ceremonies often come with a certain stigma, it doesn’t have to be that way. Many city halls allow you to have an intimate gathering with close friends and family, allowing you to say “I do” in front of the people who matter most. In addition, many city halls are aged buildings with interesting architecture. That then often creates some stunning before and after photos for you to take. For anyone who loves the great outdoors, national parks are a wonderful wedding setting. While this may not be your first thought, they are often cheap and provide some of the most wonderful and stunning backdrops on Earth. Many national parks, regardless of where they are, offer special use permits that allow you to say your vows surrounded by nature. Fees typically run around $100, and you can find all of the information about such permits through the National Park Service’s website. Outdoor weddings are extremely popular, and they make a fine alternative for people who want a park or garden feel without digging too deep into their wallet. In a similar vein as national parks, libraries and museums both offer great cheap wedding venues. These places may sound a bit out of pocket, but that is what makes them fun. Besides, they also offer great backdrops for the ceremony. Ornate shelves stacked high with books have long been the subject of photography shoots, and museums have all sorts of interesting and exciting items. If you want an old-school or rustic feel, these both serve as great budget options. They typically only run a few hundred dollars, which is a great deal. Easily the most unusual budget wedding venue on this list, Airbnb has a lot of great ceremony options. That may be surprising, but you can find all sorts of amazing venues through the service. Though the site generally is used for houses, there is an amazing range of unique private properties that can be rented for a wedding celebration. You have many choices, ranging from whole estates to cabins, ranches, and stunning beach houses. All you need to do is search locations that are “suitable for events” and you’ll be good to go. While there are plenty of pricey options, most great venues on Airbnb go a few hundred bucks. Much cheaper than paying for a full venue in the traditional way. Not only that, but you and your guests will have somewhere to sleep after the festivities are over. Another unconventional cheap wedding venue, your street or can be a great place to have a wedding. Though block parties are not as common as they once were, having the ceremony in that way can make exciting memories for both you and your guests. Just remember to properly plan. Look for special event permits that allow you to close off a street. If they are available at or near where you live, that gives you the opportunity to hold an outdoor wedding in a fun and extremely affordable way. Not only is the setting interesting, but you can spice it up by purchasing food trucks or holding a large potluck. While you may need extra permits to serve food and drink, those are also typically inexpensive compared to other venues. If this interests you, check your local government website or contact city hall for additional information. 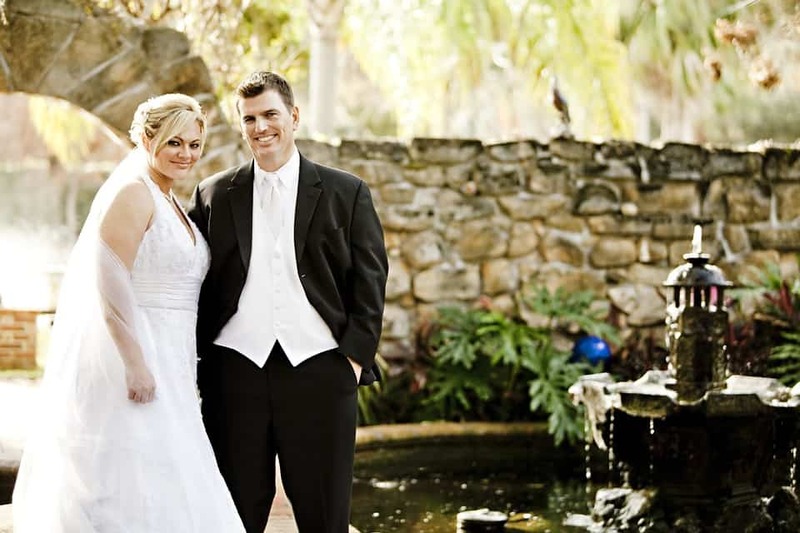 Animal lovers also have the option to set their ceremony at an aquarium or zoo. These backdrops are not just beautiful, but they also offer a lot of entertainment to your guests. Wildlife centers are always fun, and here you’re killing two birds with one stone (so to speak). In addition, many of these packages send some of the proceeds to conservation and education efforts. In that way, scheduling a wedding here helps you do some good. While these venues tend to be much more expensive than some of the other options on this list, they are still much cheaper than what most traditional venues charge. People love having their ceremonies outdoors, so why not on the open water? Boats, especially large or more extravagant yachts, have long been the site of weddings. It is easy to assume such venues would cost an arm and a leg, but you can get yacht wedding packages for under $100 if you know where to look. You can also go smaller for an even better deal. There are several bonuses to using a boat, but the biggest is that you can choose the body of water you’ll get married on. Some people prefer lakes and rivers, while others might want to do a beach wedding out on the open ocean. Colleges, while places of learning, are also quite beautiful. Many learning centers across the United States offer their grounds, sports fields, dining halls, and botanical gardens to weddings. This is a great way to go when looking for a cheap wedding ceremony because you could get everything you’d ever need all in one place. With a college, you get parking, a set ceremony space, and a place to eat or have a reception if you so choose. You even get a bit of versatility because you can choose your preferred setting. You can hold the reception in a wooded or natural area, but you can opt for a more traditional building or library as well. We finish up our list with perhaps the most classic cheap wedding venue option out there: your own home. Holding your ceremony in your backyard, while definitely not free, is a great way to save money and use it on other parts of the wedding like furniture, food, and décor. Not only that, but holding an event at your home ensures that you’ll have a safe, comfortable venue where you and your guests can relax and socialize. This also gives you control over the space and enables you to better tell guests what they can and cannot do. There is no place like home, and celebrating you and your partner at your living space can be a great way to tie your entire relationship together in a meaningful way. Just be sure to always check about street parking, calculate the costs of any rentals you might need (furniture or otherwise) and look into any potential permits. Now that we’ve covered some of the best cheap wedding venues out there, it is important to go over a few other tips you want to keep in mind during your search. Always book the venue on an off-day (not Friday or Saturday) to get a cheaper rate, and do your best to get married during a time of year that is not high in demand. In addition, don’t be afraid to negotiate, choose a small-town venue over a pricey big city backdrop, and do your best to hold the ceremony and reception at the same place. It can be extremely intimidating to pick your wedding venue, but it doesn’t have to be as nerve-wracking as it first seems. 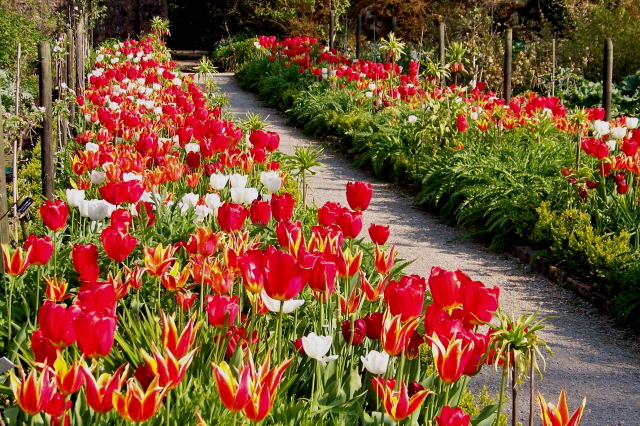 There are many budget-friendly locations out there, and they look great. As with any big decision, do your research. Look at the above options and pick some places that you may enjoy before narrowing down your list. It may seem impossible to have your cake and eat it too, but there are plenty of amazing cheap wedding venues out there if you take your time to find them.